Custom Orthotics are prescription shoe inserts that are used to help treat and prevent a wide variety of foot conditions caused in part by poor arches. In some cases they are used for high-arched feet as well and Orthotics for heel pain, primarily to absorb shock. Custom Orthotics are designed specifically around a patient's individual foot, with numerous factors being taken into consideration during their construction. These include the specific foot structure of each individual foot, its function during standing and walking, as well as the specific medical condition that needs to be treated or prevented. All these factors are determined during a medical and biomechanical exam of the condition to be treated. To create the orthotic, an impression is taken of each foot, ideally with the foot being held in a 'neutral position' where the arch is neither flat nor high. It is in this position that a joint under the ankle called the subtalar joint sits in an ideal anatomic position when full weight is placed on the leg. It has been determined through years of research that this position probably represents the foot at its most ideal position. Flat feet severely deviate from this position during weight bearing, and numerous painful conditions eventually develop as a result of this foot position, in civilizations that wear shoes regularly from a young age (such as ours). These conditions include straining injuries like plantar fasciitis, various tendonitis injuries, and slow forming conditions like bunions, hammertoes, neuromas, and arthritis. The physicians at Indiana Podiatry Group use the traditional plaster casting technique to capture the mold of each foot. They feel this technique is superior to digital scanning, foam impressions, or pressure sensors because only in this technique can the foot be held in the 'neutral position' while the molds are made. Once the plaster impressions are made, a skilled orthotist from a local Indianapolis laboratory manufactures the orthotic insert to the specific prescription of our physicians, adjusting such things as heel cup thickness, angles of tilt, and additions or subtractions to the insert itself depending on any special areas that need more or less support. 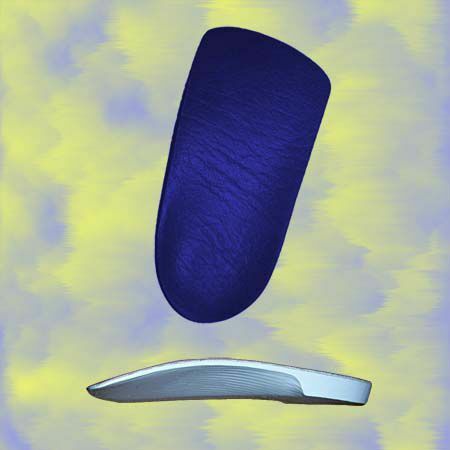 The end product is a fully individual pair of orthotics that fit and function only for the patient receiving them. Made from a thermoplastic, these prescription inserts will never crack, break, or wear out, and only need to be replaced if one's prescription changes. Such change can occur due to surgery, injury, or even on its own simply through the passage of time. In general, most people enjoy many years of use with their Orthotic Inserts. Numerous options are available at pharmacies and retail stores offering 'orthotics' for sale. These shoe inserts, made of a varying degree of flexible and stiff materials, are incapable of providing specific foot structural correction, as they are mass produced and usually are easily compressed by body weight until they are little more than a lump of material under the arch. Even the plastic inserts sold by national insert chains are nothing more than a mass produced hard plastic insert that is merely sized to the shoe size range of the customer. Without being specifically molded to the foot, such inserts run the risk of causing further injury by placing inexact arch pressure on the bottom of the foot. At prices that can exceed the cost of a prescription orthotic, these types of inserts have little place in foot care. The softer, more flexible inserts sold in pharmacies and sporting good stores are a safer alternative and may have a role in treatment of certain minor conditions. However, any condition that requires exacting control of abnormal foot structure requires the use of prescription orthotics, much like abnormal vision requires prescription eyewear as opposed to over-the-counter reading glasses.